Cathy — thank you so much for your kind words. I just checked Netflix to see if I could find a copy of that movie. They may have it on DVD, but it’s not available for streaming, which is the plan I currently have. It’s easy enough to change, though. I’d love to see the film. As for Columbus, even as a kid I couldn’t understand why we had a holiday for him. The Americas were named after another explorer entirely! I recently learned that the Catholic group, the Knights of Columbus lobbied for the day to be set aside until FDR finally signed it into law in 1937. Interesting about the Knights of Columbus, Mary. Yes, we really should have a holiday set aside for Amerigo Vespucci! And I suspect you would love the film. I remember details about it even fifteen years after seeing it…brilliant, touching and I think it told such an important story about our First Nation People of which you share their DNA! We still do – Crow Rez – 10/17/13….slow good life especially when the trout are hitting – thank you for sharing. Yes, it is a slow, good life. I have always thought that the way to slow things down is to spend some time on the Rez. You can sit in a room full of people and nobody feels the need to talk unless they have something to say. It’s peaceful. Ronnie, my mother’s book is out of print now, but we’re looking into using Amazon’s Create Space publishing site to make it available again. Thank you for saying such kind things about my writing. I do so appreciate it. “You can lead a person to information, but you cannot make them think.” — true in many cases, but not in mine, Mary, or most of your readers, because you always make us think. Granted, I think you have the smartest, kindest, best-looking readers out there, but that’s because you are the same and I am biased. Sadly I can still name all three of Columbus’s ships from the silly grade school poem, but most of my Native American history comes from Thanksgiving teachings, The Last of the Mohicans, and Dances With Wolves. I find that very sad. As I’ve grown older I see nothing celebratory about Columbus Day. I don’t even shop its sales. I enjoy these mini-history lessons, the glimpses into your family and, of course, the brilliant writing you offer us grateful readers and friends. My husband and I were talking about what we were taught about Columbus in grade school – which was pretty much what you learned, too. Most of it is misinformation. I wonder what they teach about him now, whether it’s the same crap? I’m glad I make you think. Lovely of you to say so – and, yah, I like your bias! I’ll take it, and be forever grateful for your friendship. I am so glad that there is a return to cultural roots. Those children who were uprooted and taken away to be ‘educated’ would I guess lose their sense of belonging. Without roots, we drift aimlessly. And your Mother’s book-what a great keepsafe of memories for you. Thank you, Andy. I, too, am glad that through tenacity and strength of spirit, there is this resurgence of the Native heritage. My mother is certainly happy about it. I treasure her book. Beautiful post! my belief is, It’s never too late for a comeback… to honor your ancestor’s traditions & ways of living. I have always been attracted to your culture & its authenticity & gather information wherever I could so, I thoroughly enjoyed your writings on the matter, well done! I applaud your post, Mary. The damage done in this land to the original inhabitants is beyond measure and our sanctimonious condemnation of other countries’ human right issues infuriates me. We sweep under the rug our shame and point the finger at others. When will we mature enough to realize that apology and reparation are necessary for strength to be rebuilt? Keep on writing. Thanks, Barb. Sadly there is blame enough for everyone everywhere. It is infuriating. I think the one thing that could make the most difference is spreading kindness like the plague. What if kindness took hold as fast as that? Imagine. Mary, you did an excellent job with your story/ writing lesson. As I’ve maintained right along, you are a gifted writer. Tears welled up and sat up straighter with pride. “that’s my daughter,” I’m so blessed to know. Here’s a question: Is there anyway I can copy this so that I can share this story with the ones here at Sweetgrass who do not have computers? I tried twice, but just the photo of my mother is printed – i’ll be out of ink in no time this way. Hello Mrs. Stanfield. Yes, your daughter is an excellent writer. Greetings, Mrs. Stanfield. I agree with your assessment of your daughter’s gifts (wonder how she came by them?). Her posts here are thoughtful miracles wrapped in beautiful prose — and wisdom. I’m proud of her too — proud to be her friend. There is another film about “saving men” it’s called “the thick dark fog” telling about the damage that has been done which is so often rather subtle if not as terrible. Thanks for the heads up on the film. I’d love to see it, but I’m having trouble locating it. I found information about it, but I can’t find it available for viewing. Gotta love Berkeley! In South Dakota they call the day, Native American Day, in Hawaii they celebrate the day as Discoverer’s Day for the Polynesian discoverers. Oregon and Alaska don’t celebrate the day at all. We possess a bully culture, whose ritual is the sacrifice of those values it supposedly holds most dear. Don’t feed the trolls, indeed. They’re fat enough. Oh, Cayman, I’m sorry to make you cry. It wasn’t my intent. We do possess a bully culture, and I don’t believe it will ever change entirely, but I do like to think it gets better, however slowly. It does get better. As for trolls – you can’t live with them, you can’t drop ’em off a bridge. Pity. No need for the apology. The cry was a good one. Your writing does that to me. The great writers get me crying, thinking and doing. Everyone else already expressed my feelings for me. I’m feeling thoughtful and a little melancholy now, but all the better for it. Thanks, Judy. Though, I wouldn’t like to make anyone feel melancholy. Thanks for reading. I love your post. Such rich history and I agree that Columbus should not be celebrated. He was evil. Do you still swear in Mohawk? Just curious! Nia:wenkowa, Mae. I didn’t swear, I promise. It means, “thank you very much” in Mohawk. I still know the swear words, but I don’t use them. As a teacher I often wonder why we have the day off, in fact why we have any of the days off we do… Veterans Day, Memorial Day, MLK, Jr. Day, but I digress Columbus Day, really should be a day of mourning for a civilization destroyed in the name of progress….but history is written by the victor, the last man standing, the conqueror. Sometimes I wonder where our culture is headed and look at how our nation is changing and many others are changing as well…. much food for thought, much to think about, to wonder. Thanks. You know, Clay, I live in Rhode Island, and here we have a state holiday in August that no one else in the US celebrates – “Victory Day.” It’s origin came from the years the US celebrated Victory over Japan Day. My hope is that history will be more open and honest in the future and less sanitized as it was when we were growing up. Mary, we speak the same language. My late husband had native American in him, Cherokee, and he would spend countless hours searching the banks of the Tennessee River finding artifacts from his ancestors. Hundreds of arrowheads, many tomahawks and other tools. Several times I went with him when the river was low. I was in awe at how many different types of arrowheads we found, each one used for a specific purpose when hunting game. He even found burial pottery with the full skeletal remains of Cherokees who once lived along the riverbanks. We were living in Alabama at the time. After he passed away, I went back to the river, had a small ceremony in honor of those Cherokees, and my partner, then put them back into the river where it would be unlikely that they would be found anytime soon. That’s the legacy of Thanksgiving, and so few know this. I agree with you that we should not be honoring men who’ve been so inhumane. I will close with a quote from Aldous Huxley and a final comment. And that is a travesty. Post like yours bring necessary awareness, and help to reminded us of our history — and that we had better learn from it or else we just may become extinct by our own doings. Dr. Carl Sagan said that an organism at war with itself is doomed. So nice to meet you, Mary. Thank you for sharing your thoughts about my post. I often wonder about the holidays we chose to celebrate, their true origins and how far away from the original intent we have gotten. I can only live with Thanksgiving if I view it as a time to give thanks for family and loved ones, and a time to share good food, a few stories and laughter. And as far as I’m concerned, Christmas has always been about “Christians” trying to get the pagans to stop partying at Winter Solstice. I like the fun of pretending that there’s this jolly guy in a red suit who flies around world in a single night handing out presents while people sleep. I’m never giving that one up. Though, as an interesting side note – when my son figured out that Santa was indeed imaginary, he was angry with me for lying to him. He got over it by the time Christmas rolled around again. He didn’t want to give up the ritual of leaving Santa a note along with milk and Christmas cookies and so we kept all those little rituals for a while longer. But Columbus? Nope. Can’t do it. I love that your husband explored and learned more about his heritage in such a way. I spent my the summer after my sophomore year in college on an archaeological dig in norther New York. We didn’t find human remains, but we did find an array of different types of arrowheads and various stone tools and pottery shards. The farther down we dug, the more artifacts we found, the different layers representing different periods of time. That was amazing to me, that refuse left behind is buried and forgotten and new people come and the process repeats itself again and again. It’s like looking at the striations in rock and marveling over visible proof of the passage of time. I like the way you chose to honor your husband and his people. Two of my most favorite people connected. Talk about supernova! Couldn’t be happier. Love you both. What an awesome reflection on one of the gravest injustices in human history! I always consider Columbus Day as a day of mourning as it should be! Thank you for your comments. I so appreciate it! We must, indeed, be related as my mother’s mother was a Sawatis. My mother’s maternal grandmother was Agnes Jacobs who married Tom Sawatis and had a daughter Mary (for whom I am named). I remember mean cousins, too! We’ll have to swap stories. I was not only part white, but blonde as well. Isn’t it a small world? Glad you found my blog. It’s late here now. I’ll email you later. Wonderful. Columbus was a man like all men. Potential for mean-ness and for glory. Nowhere is the story of our paradoxical behavior more pointed or sad than in the whites’ treatment of American native tribes. Also a good reminder about the trolls. Hi I’m brad the great grandson of Anna Sawatis Ohmann. She was born on the reserve. As she grew older she decide to leave the akwesasne reserve and knee in order for to have any success she had to pretend to be a white women. She legally changed her name to Swartz and began her journey into the world of the white man. This upset the family but she went on to meet my great grandfather a son of German immigrants. My great grandmother often returned to the reserve to visit family bringing my grandfather along, a tradition the he continues even to this day. He would often bring myself and my brother which I have always greatly appreciated. Nothing is better than knowing your family! Thank you for the story! Hi, Brad. I’m the great-granddaughter of Agnes Sawatis Jacobs, so we must be related. How exciting is that?! According to my mother, Agnes also left the reserve when she was young. I think she went to Syracuse, made some money and returned to Akwesasne and bought the International Hotel which famously straddled the US and Canadian border. It was quite the place during the Prohibition era in the US. 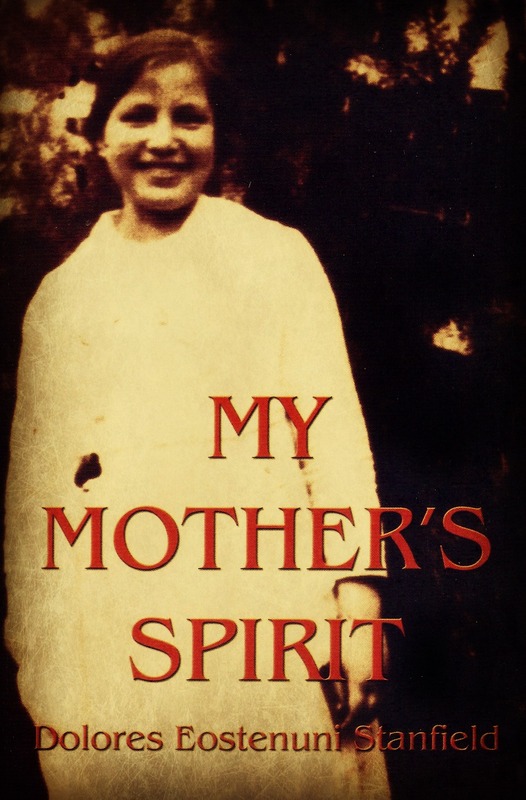 My mother returned to live at Akwesasne several years ago. My siblings and I were all just there a couple of weeks ago. Small world, isn’t it? I’m glad you stumbled onto my post. It’s nice to “meet” a relative I hadn’t previously known I had.